With the focus on the problems recruiting and retaining talented young people, especially in high demand fields, it sometimes seems as if government has forgotten its older workers. But that would be a serious and costly mistake. Across the federal government, 44 percent – almost a million workers -- are age 50 or older. The U.S. Postal Service workforce has a similar age distribution. Their years of experience translate into higher salaries and benefit costs. They dominate the higher levels of the civil service and account for 55 percent of government’s managers and supervisors. Whatever their jobs, older workers are leaders in defining the work environment across federal operations. Their level of commitment, their job and institutional knowledge, and their working relationships make them far more influential than their younger co-workers. An added issue that differentiates government from private employers is that federal careers are far less attractive than when older employees started their careers. As a guess, more than a few feel locked in by the value of the benefits they would lose by resigning early. That undermines their sense of commitment. This column was prompted by a Harvard Business Review article, “Engage Your Long-Term Employees to Improve Performance” by Gallup’s Jim Harter. Harter’s article starts with: “Let this be a wake-up call for business leaders. The employees with the longest tenures in your company are also the least likely to be engaged.” Gallup’s research shows employee engagement levels begin to decline slowly after a few years. The point of the article is that long tenure workers should be the most productive. With experience, employees develop specialized knowledge and learn how to get things done; they also develop an understanding of how to work effectively with supervisors and co-workers. An employee’s performance should improve each year. The research also shows that psychologically engaged employees at each career stage consistently perform at higher levels than those who are disengaged. Strategies to raise engagement levels pay off with improved performance in all occupations. The research adds a third factor – let’s call it “job fit,” or having the knowledge, skills and natural talent (which Gallup defines as the “innate tendencies that match the job requirements”) to succeed in the job. For those who combine the three attributes: a decade or more of experience, are engaged and have talent suited to the job, the research shows they outperform an average colleague by 18 percent. When compared with the output of a co-worker with limited experience, marginal talent and who is actively disengaged, the difference in performance is 35 percent. That’s a game changer and highlights the importance of effective talent management. Based on the average federal worker’s salary of $84,000, the higher productivity carries a potential value of $15,000, on average, per employee. Gallup’s research, however, shows only 5 percent of workers possess all three criteria. Across government, the performance value of even that small cohort would be $1.5 billion. Adopting a strategy to increase the percentage of workers who hit the trifecta would vastly improve organizational performance. That’s the goal of the workforce management strategy in high performance organizations. It starts with leaders. The payoff surpasses the possible performance gains from any other organizational change. The Harter article is focused on non-supervisory workers. Gallup’s engagement research shifts the focus to an employee’s supervisor. In their Q12 survey, all but two of the questions relate to supervisory practices. They argue that relationship is the primary influence that shapes an employee’s commitment. That makes the natural talent to be effective as supervisors important in selection. It’s clear today that seniority should not be a consideration. The importance of the role also underscores the need for adequate training and for reward practices that reinforce desired behaviors. That has never been a federal priority. Other researchers focus on somewhat different issues. In the 2018 Federal Employee Viewpoint Survey, the Engagement Index is based on questions related to: Leaders Lead, Supervisors, and Intrinsic Work Experience. With articles on engagement, the focus always seems to be on the positive, upside potential for improving results. That’s true with FEVS reports as well. However, when the FEVS responses are compared to private sector responses to the same questions (survey data are available to do that), federal scores are consistently lower. It’s not attributable to any human capital practice; it’s the shared sense engendered by the work experience that workers don’t feel valued. Over the years there have been repeated situations when federal leaders have knowingly made decisions contrary to employee interests, contributing to a deteriorating work environment. Winning teams in sports and business celebrate achievements but that’s infrequent in government. When the repeated message is reproving or pessimistic, engagement is difficult to sustain, and that’s problematic. Where employee/management relationships are allowed to deteriorate, engagement levels fall and that drags down performance levels. It can be very costly and take years to re-establish trust and a shared sense of fairness. Gallup does not release the names of organizations where employee engagement is below a healthy level but they certainly exist. They would make a list of the worst places to work. As engagement levels sink, it shows up in lower output, poor quality, accidents – all the metrics tested in Gallup’s research. The longer it continues, the more difficult it is to recover. In other sectors negative working relationships can trigger resistance and work stoppages or slowdowns. That still happens occasionally. But among the reasons work stoppages have declined is the growing recognition that investing in collaborative workforce management pays off. Organizations that invest in creating a positive work environment are able to solve problems and recover faster in tough times. The emerging skills shortage is a related problem. What should be an obvious answer is retaining the skills and job knowledge of proven performers regardless of their age. 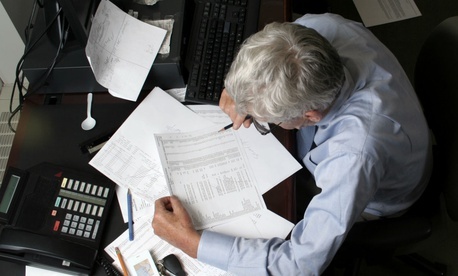 There is a national trend for older workers to continue working beyond the usual retirement age. Retaining older, proven performers is far less costly and less risky than recruiting and training new hires. If retention is the goal, agencies will need to address two considerations. First, there is a need to identify the individuals who have demonstrated essential expertise who will soon be eligible to retire. The second is developing strategies to make it attractive to continue working in government. The options are several; the goal is to convince them their contributions are needed and valued. Agencies should have no trouble finding volunteers to help develop a strategy.